Just to verify that this finder should only be used as a “guide”, rather than for critical use. It does a good job for the price, but obviously it is built for a small budget. And I'm not responsible if this screen will fits to your Hasselblad. BRIGHT SPLIT IMAGE FOCUSING SCREEN. I provide exact size of the screen. 500>1000g - 18 USD. 1kg>2kg - 23 USD. 250>500g - 12 USD. up to 250g - 10 USD. 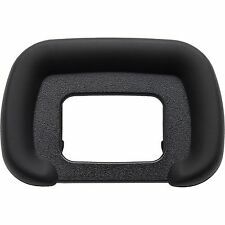 EYECUP ONLY EYECUP ONLY EYECUP ONLY. It fits the prism just like the original and is very comfortable on the eye. To install the eye cup, you need to unscrew the glass eye piece from your prism. 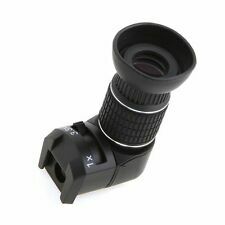 Once you have the eye cup on the eye piece, screw it back to the prism and start enjoying the clear view of your viewfinder. Oculare tipo Canon Ef per EOS 300D, EOS 350D, EOS 400D, EOS 450D, EOS 500D, EOS 550D, EOS 600D, EOS 1000D, 1100D, 700 d, 100 d, Digital Rebel XSi, XTi, XS. 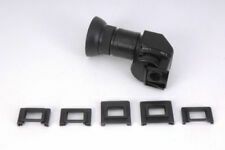 Oculare tipo DK-20 per Nikon D3000 D3100 D3200 D3300 D5000 D5100 D5200 D5300. AUGENMUSCHEL für CANON F-1, F-1 N, F-1 NEU. Augenmuschel, Eye Cup für canon f1. Eye Cup for CANON F1 NEW, f1. X D7100 D7000 D750 D610 D600 D300 D200 D90. DK-21 oculare COMPATIBILE Nikon. leggi le regole sulla restituzione. Ricorda di aggiungermi all'elenco dei preferiti ! Dai un'occhiata alle mie inserzioni ! OEILLETON DE HAUTE QUALITE type DK-21. 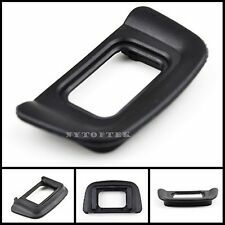 pour Reflex NIKON D80 / D90 / D200 / D600 / D610 / D7000. Nous pouvons ainsi vous garantir que vous serez satisfait. ESSENTIEL POUR PROFITER DES EXCELLENTS VISEURS. 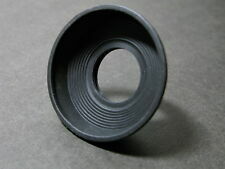 1 x DK-20 rubber eyecup. Material: Rubber. 100% new and high quality. This is our SOP, for us to be certain and for record purposes. Color: Black. Oeilleton de Viseur Type Nikon DK-25. Compatible avec les appareils photo Nikon:Nikon D3300, D3200, D3100 et D3000Nikon D5300, D5200, D5100 et D5000. BRIGHT VIEW FINDER 28mm. FOCAL LENGTH - 28mm. FOR ALL TYPES OF RANGE FINDER AND. For sale is only what is shown on the pictures. with HOT SHOE. 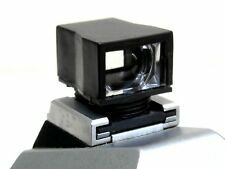 Original Canon Augenmuschel / Eyecup für Canon A - Serie. In sehr gutem Zustand. Canon: 550D 350D 500D 450D, 1000D 400D 600D,EOS 750D. Questo Oculare Mirino per Canon sostituisce il vostro perso, danneggiato o rotto. Dai un occhiata alla nostra PROMOZIONE! Original Nikon item in used working condition. D5000, D5100, D5200, D5300, D40, D40X, D50, D60, D70. OCULARE COMPATIBILE NIKON DK-20 DK 20. Ricorda di aggiungermi all'elenco dei preferiti ! Dai un'occhiata alle mie inserzioni ! 4,00 CONTRASSEGNO. Up for sale is a single NEW deluxe after market eye cup for Canon. They fit both the original F-1 and the New F-1. Sale is for a single eye cup, two are pictured for illustration only. Acrylic Fresnel Lens sized for 4x5. The screen is a one piece injection molded acrylic with matte surface on one side and Fresnel lens on the other. A lovely finishing touch to your lovely Nikon and a MUST have for people that don't want to scratch their expensive glasses. Nik & Trick may be small, but we are now making the biggest impression in traditional photography because nobody loves film lovers like we do. Augenmuschel, Eye Cup für Canon. AUGENMUSCHEL für CANON A-1, AE-1, AT-1, AV-1, T-50 ,T-70. Eye Cup for CANON A-1, AE-1, AT-1, AV-1, T-50 ,T-70. Panasonic Basis für Augenmuschel Lumix GH2. Up for sale is TWO NEW deluxe after market eye cup for Canon. They fit both the original F-1 and the New F-1. 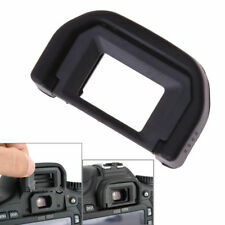 Has a glass window to keep dust off your viewfinder. Digital Rebel T3i, Digital Rebel XS, Digital Rebel XSi, Digital Rebel XT, Digital Rebel XTi. 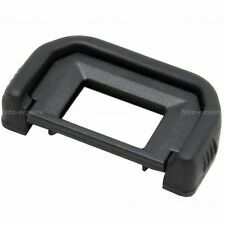 Canon EF EyeCup. 50D, 550D, 5D, 600D, 60D, D30, D60, Digital Rebel, Digital Rebel T2i, Digital Rebel T3. EOS M Black EF-M, K2, SL1, T1i, T2, T4i, T5i, TI. Compatibilità: D750, D610, D600, D7200, D7100, D7000, D90, D5500, D5300, D5200, D5100, D5000, D3300, D3200, D3100, D3000, D90, D80, D70, D60, D50, D40, D40X. Conchiglia oculare in gomma per reflex digitali Nikon. 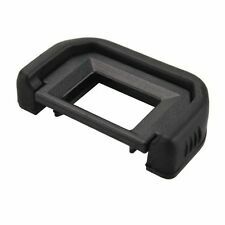 OEILLETON DE VISEE pour CANON 77D, 100D, 200D, 300D, 350D, 400D, 450D, 500D, 550D, 600D, 650D, 700D, 750D, 800D, 1000D, 1100D, 1200D, 1300D, 2000D, 4000D. 100% compatible type EF. Série ECONOMIQUE . Has a few dings but is nice and clear, good used condition. "I am using the Bresson magnifier for critical focus. Once the diopter is adjusted for my eyes it works wonderfully. [NEW] Adjustable Diopter for Leica M. This version is the later type Y which has a magnification range from 1.15x to 1.65x or equal to -150 to 350 diopter. 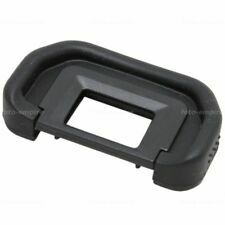 JJC ES-A7G Eyecup x 1. The Eyepiece is designed to seal out stray light for more comfortable viewing from viewfinder. The eyepiece adopts an ergonomic oval shape that seals out all extraneous light, especially for eyeglass user. EOS 760D, 8000D, EOS 1100D, EOS 1200D, EOS 1300D. 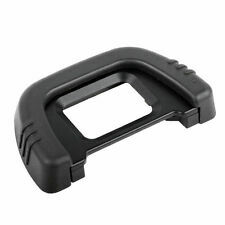 JJC EC-7G Eyecup x 1. EOS 6D, EOS 60Da, EOS 70D, EOS 80D, EOS 100D. The Eyepiece is designed to seal out stray light for more comfortable viewing from viewfinder. It is clear and works great. They fit both the original F-1 and the New F-1. 2 x Leica M Camera Lens Focusing Handle for Summicron 50mm f/2.0 in Mint Cond. Minor optical issues but fully usable. Original Case & Tweezers. Canon Augenmuschel Eg für EOS. - EOS 7D II. - EOS 1D III / 1DS III. - EOS 1D IV. Der Viewfinder wird auf der Schiene vor das Display geschoben und zusätzlich mit einem stabilen Gummiband gesichert. 2 x Befestigungsschienen. Die Augenmuschel aus Weichgummi schirmt dabei störendes Umgebungslicht komplett vom Auge ab. 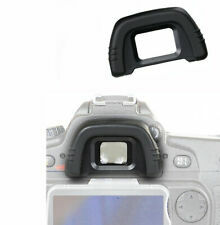 For Canon EOS 350D, 400D, 450D, 500D, 550D, 600D, 1000D and 1100D and beyond. New unused in excellent condition. I also have genuine Canon versions listed here. Hasselblad PM 45 Degree Prism Finder, Works with all V-System Bodies, 500CM 501CM 503CW 503cxi. Condition is "Studio Used".It does show signs of wear but it is fully functional. There is no meter this is a standard 45º view finder. I will ship internationally with the buyer paying exact shipping costs. Shipped domestically with USPS Priority Mail. 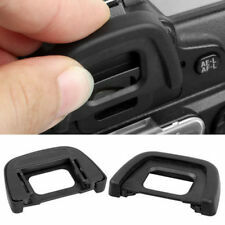 This is a Canon Compatible EG Rubber Eyecup for EOS 1D Mark III 1Ds Mark III 1D Mark IV 7D;. 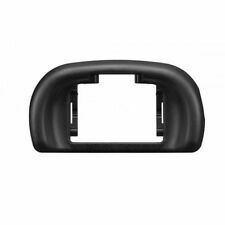 The Canon EG Rubber eyecup minimises the amount of stray light that enters the viewfinder and enables more comfortable viewing. 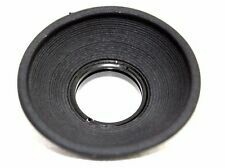 Genuine MINOLTA eyecup. Genuine Item. CONDITION: USED, but still in good condition. Panasonic viewfinder LVF1 for LX5:GF1;GF2 and Leica D-Lux5 digital cameras.